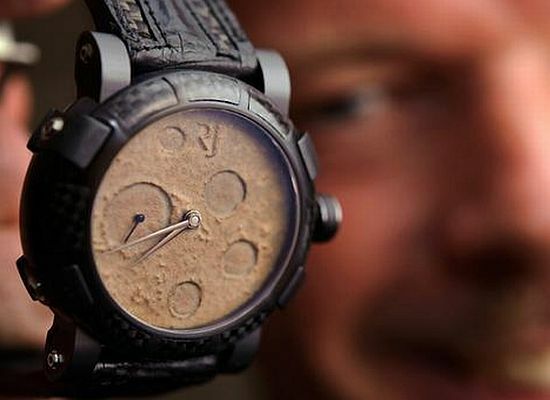 Romain Jerome has hit up a formula – Reclaim material from famous wrecks or vehicles and turn them into collector watch. They did with their Titanic DNA watch were they use material from the Titanic and now they’ve done it again with their Moon Dust DNA which uses steel from the Apollo 11 and supposedly, dust from a rock retrieved during the first mission to the moon even though I would question its authenticity. The watch will be made to commemorate the 40th anniversary of the Apollo 11 mission and several different version will be available at a price range between $15,000 to $500,000.